This pair of white pearls studded ram leela earrings can work wonder with any attire because of the universal appeal of the color white. 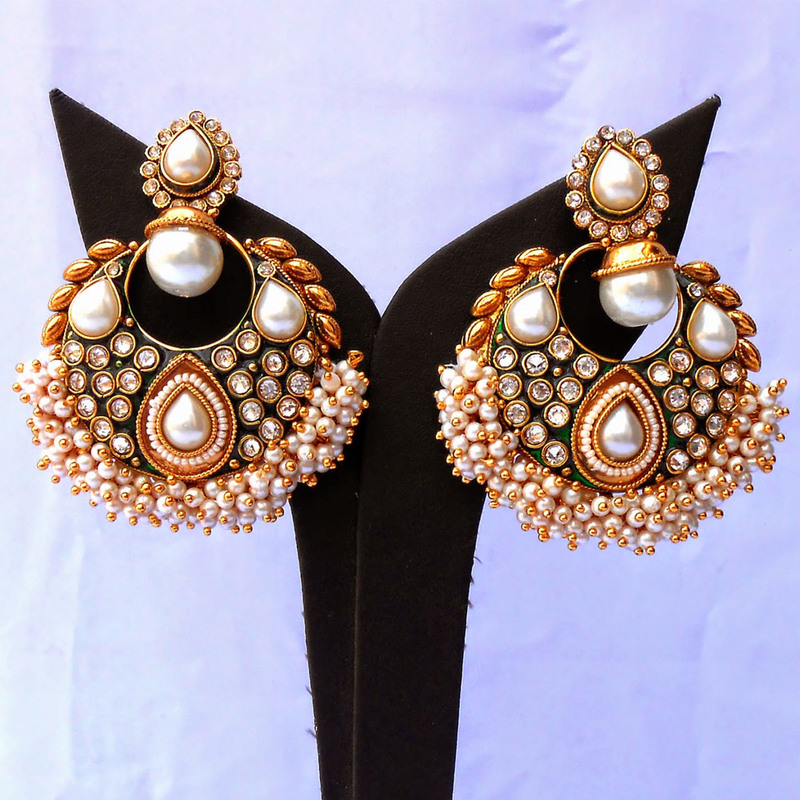 Tiny Read More..white stones accentuate the beauty of the huge teardrop shaped pearl present on the stub while another huge pearl hangs from a gold plated brass casing joined to the stub. Another teardrop shaped pearl adorns the center of the body of the earring while two similarly shaped pearls flank it on either side. Numerous smaller pieces are present on the lower periphery, which adds to the allure of this pair of earrings. Show Less..